When man sees an end, God assures that it’s just a bend. He makes way where there’s none, roads in oceans, bridges over walls. He’s not just the waymaker, He also sees to it that He lights up our paths and that we do not dash our feet against obstacles. LJ Worship knows this and is not shy to confess it on this powerful prophetic worship song. 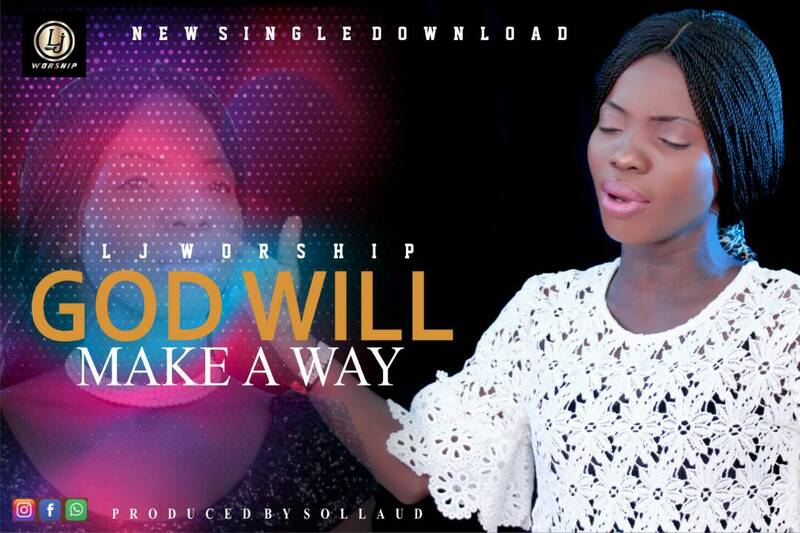 Be blessed by her rendition and she speaks into lives, families, homes and the nation, whatever we might be going through, be sure that God will make a way! Olawunmi Janet, professionally known as LJ Worship, is an Oyo born – Lagos based gospel singer and writer with a strong passion for Christ. She’s a lover of music and her songs are written by God’s inspiration. LJ Worship had her primary and secondary school in Lagos and went on to Delta State University (Delsu) for her tertiary education. She is currently worship on a new album.